There are currently ten members who make up the Quality Improvement Advisory Board (QIAB). They represent the broad scope of veterinary care, as well as human care. Members of the QIAB were selected by RCVS Knowledge for their drive and commitment to good clinical practice and quality improvement. 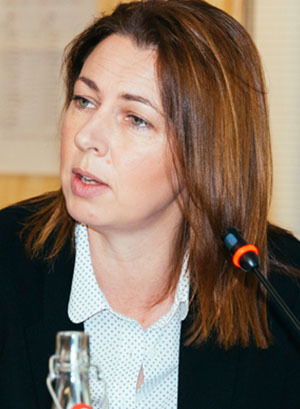 Marnie Brennan is Assistant Professor in Epidemiology at the School of Veterinary Medicine and Science, University of Nottingham. 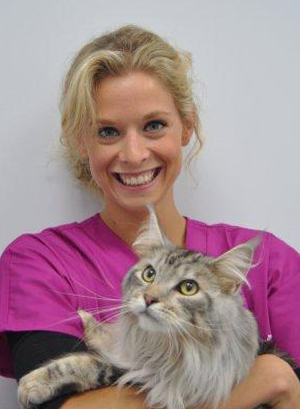 She is a veterinary science graduate from Murdoch University in Perth, Australia. After practising in Australia and the UK, she worked with the Department for Environment, Food & Rural Affairs (DEFRA) for a short time before completing a PhD in veterinary epidemiology at the University of Liverpool. She joined the University of Nottingham in 2009. Marnie is the Deputy Director of the Centre for Evidence-based Veterinary Medicine, where she is involved in a number of projects working directly with practitioners and owners. The Centre aims to enhance the research that is used in clinical decision making by facilitating veterinary surgeons and veterinary nurses becoming involved in research prioritisation and enhancing their role as consumers of research. This includes the creation of BestBETs for Vets, an online evidence resource, and the use of clinical audit in farm animal practice. Marnie is also the creator & coordinator of a postgraduate modular training course for veterinary surgeons and veterinary nurses on how to integrate the principles of evidence-based veterinary medicine into practice. She is particularly interested in helping the profession to overcome the challenges associated with conducting clinical audit in ambulatory practice, and the additional benefits that can be gained as a result of undertaking these activities such as job satisfaction and enhanced clinical decision making. Marnie hopes to bring a realistic and pragmatic approach to the QI board, including helping to design strategies that enable all types of practice to be able to regularly undertake quality improvement activities. Liz, Chair of VN Council, is a registered veterinary nurse and is employed by Independent Vetcare as Veterinary Project Co-ordinator. Since qualifying in 1991, Liz has gained a wide range of experience of veterinary nursing roles from single-handed practices to large veterinary hospitals, working for both private and corporate veterinary surgeries, and as a locum for Bristol University. Since joining VN Council in 2011, Liz has worked on numerous working parties and sat on the Standards Committee and Practice Standards Group. Whilst enjoying all aspects of the nursing role, her main interest within practice is with VN training, mentoring and supporting all staff. 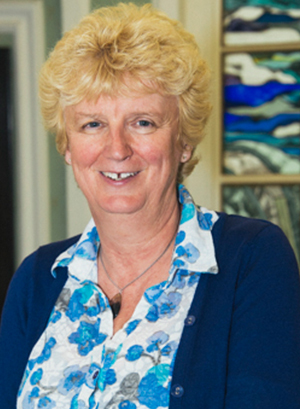 Liz is an experienced clinical coach and has been an RCVS nursing examiner since 2000. She is passionate about the veterinary nursing profession, and its future. She co-chairs the RCVS/BVNA VN Futures project and welcomes the change and challenges that are ahead for VNs. As a practising nurse and a PSS advocate, Liz is keen for audits to become more common place in veterinary practice. She believes that the development and understanding of the importance and relevance of clinical governance is long overdue in general practice and that nurse engagement will be the key to its success. Liz hopes that her passion for the veterinary nursing profession and her desire to make clinical governance and audit accessible to all will make her an invaluable member of the QIAB. Margaret was invited to join the Quality Improvement Advisory Board in 2018. She brings with her the unique experience and perspective of an NHS improver. As well as being a registered nurse, she is the Head of Patient Safety at the Royal Free London NHS Foundation Trust. Since qualifying in 1994, Margaret Mary has worked within the NHS, predominantly in high risk critical coronary care and resuscitation care systems. It was here that she found her passion for system based approaches to improving quality and safety. In 2013-15 Margaret Mary undertook a Quality Improvement Advisor post with the Academic Health Science Network UCL Partners, to facilitate building improvement capabilities across several formats. Through completion of the Improvement Advisor Programme in 2017 with the Institute for Healthcare Improvement (IHI), she has continued to develop her in-depth understanding of improvement science theory, and the application of improvement tools. In her current role at the Royal Free, Margaret Mary leads a team of improvement facilitators delivering a three-year patient safety programme. The aim of the programme is to reduce avoidable harm by 50% by 2020. Outside of work Margaret Mary has volunteered with a local RSPCA centre; and more recently adopted two energetic kitten siblings, Alice & Hector, from the RSPCA centre in Bedfordshire. Simon graduated from Liverpool Veterinary School in 1986. After spending some time at Cambridge University he gained a certificate in small animal orthopaedics in 1989. Following this he has worked in both referral and first opinion practices and then for the PDSA where he was involved with staff training and management as well as clinical work. Simon is currently at Damson House Vets, a small animal practice in Solihull. Simon is a member of the VeNom Management Group. The VeNom Coding Group is a multi-institution group that includes veterinary and IT specialist members from the Royal Veterinary College, University of Glasgow Faculty of Veterinary Medicine (UGFVM), the PDSA, Cambridge Veterinary School, the University of Nottingham School of Veterinary Medicine and Science, and VetsNow. The management group guides the overall direction of the group and deals with technical and IT issues. 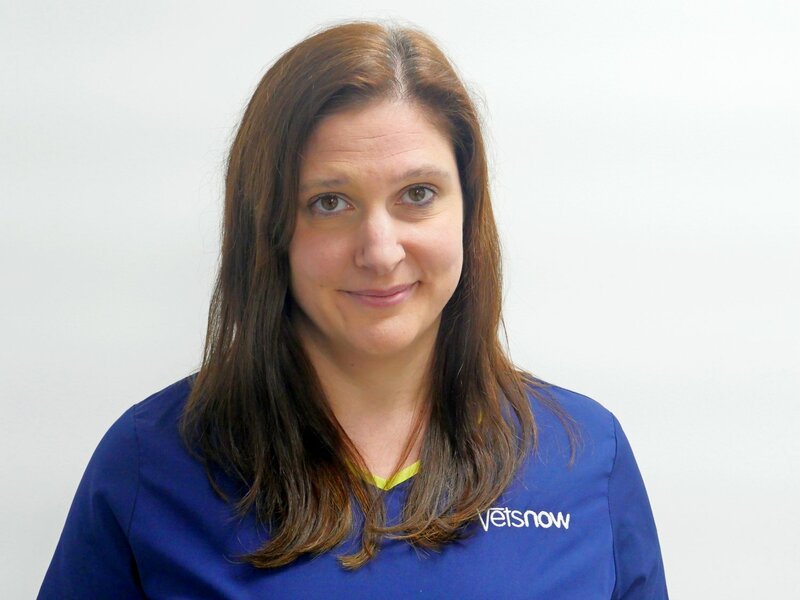 Karlien qualified from The University of Edinburgh in 2010 and has worked in practice in Gloucestershire, and more recently as the Clinical Services Manager at Vets4Pets and Companion Care. After 6 years in small animal practice she joined Vets4Pets Support Office as Clinical Services Manager in April 2016 where developing a system of clinical governance for the veterinary care. This programme involves setting up the first clinical audits across 400 practices. Karlien is also involved in creating checklists and best practice guidelines to promote a higher standard of clinical care. She has recently developed a resource toolkit to assist practices in their accreditation process with Practice Standards Scheme, including templates for standard operating procedures (SOPs), and instruction on how to hold, record, and resolve, significant event meetings and audits on a local level. Karlien hopes to bring a different perspective to the QIAB with her experience working on large scale practice management systems (PMS), clinical audit, and reporting. Being part of the clinical and strategy team from one of the biggest veterinary groups in the UK, Karlien intends to use her network to pilot the resources developed by the QIAB. She is very keen to have more primary practice research carried out, to provide more evidence-based knowledge, relevant to first opinion practices. Richard is from a farming family in Somerset. He qualified from Bristol University in 1984. He remained in Bristol and became a Director of a 60 vet, first opinion/referral group. In 2015 he joined CVS as the Director of Clinical Services, an executive role within CVS. Among the various responsibilities he has, one is for the overall practice and clinical standards within CVS, including quality improvement (QI). He has introduced various QI measures for the practices including significant event reporting and central/practice QI committees. Richard is a Senior Assessor for the RCVS Practice Standards Scheme (PSS) which he has been a part of for many years. This has given him a real insight to everyday practice and the importance of QI. He has introduced training and guidance to support CVS practices with achieving and maintaining their PSS accreditations. 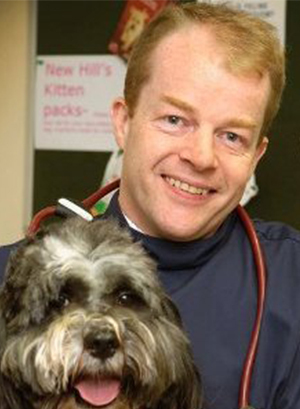 He is a Trustee and strong supporter of Vetlife, a charity with a vital role within the profession. He is currently a member of the BSAVA committee. His past veterinary roles have included a University of Bristol External Examiner and a Society of Practising Veterinary Surgeons (SPVS) Council Member. Richard brings much experience to the Quality Improvement Advisory Board (QIAB). He hopes to play an important part in further development of QI in the veterinary profession, including promoting the sharing of knowledge across the veterinary industry. He hopes that through initiatives like the Quality Improvement Project, and with the development of large databases, great evidence-based improvements can be made in the provision of veterinary clinical care. Pam joins the RCVS Knowledge QIAB having had extensive involvement with the college. 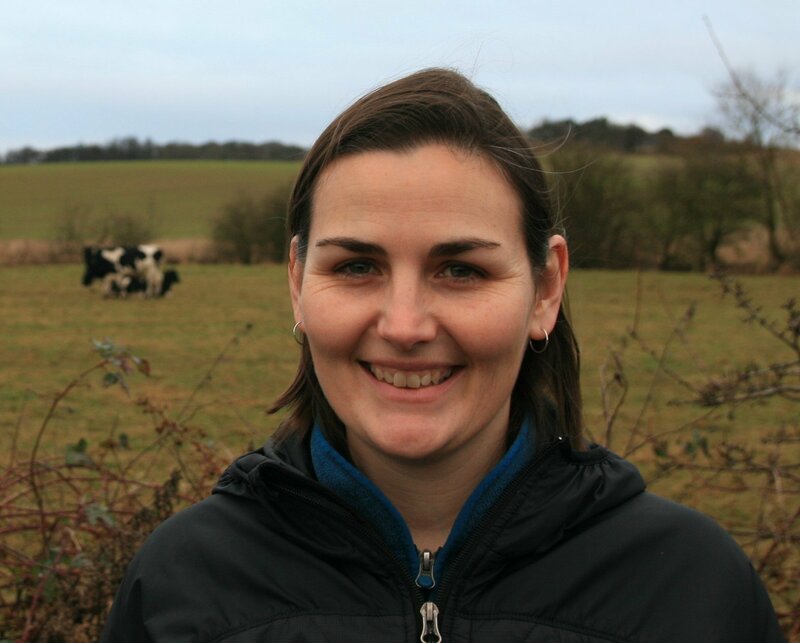 She was a Practice Standards Inspector from the beginning of the BSAVA practice standards scheme and continued with the RCVS scheme, becoming Senior Inspector before moving on to become an independent veterinary investigator. Pam has been appointed Acting Lead Assessor and Veterinary Advisor since April 2015. 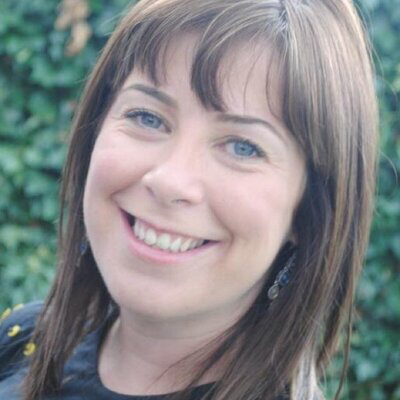 She has been involved in assessor training, with particular focus on the consistency of assessment and welcomed the increased emphasis on clinical governance, clinical effectiveness and audit in the new scheme. Pam first got involved in clinical governance when on BVHA council when she started to look into whether clinical audit could be applied to veterinary practices. She wrote the first article published in the UK on clinical audit in veterinary practices in 1999. Pam has spoken at BSAVA Congress, BVNA congress, SPVS Congress, BEVA clinical audit workshops, CAW TP conference and on RCVS webinars about Clinical governance and clinical audit. Laura qualified from the University of Edinburgh in 1999. After working in a variety of small animal practices in Yorkshire for eight years, she moved into Emergency and Critical Care as a Senior Veterinary Surgeon at Vets Now. In the early part of her career at Vets Now, Laura successfully led three different out-of-hours emergency clinics, before being promoted to the role of District Vet. Today, she is Vets Now’s Head of Veterinary Standards and is responsible for driving clinical and professional standards. She has extensive experience in utilising clinical benchmarking, governance and guidelines in order to embed best practice across the company's clinic network. More recent developments Laura and her team have led have focused on patient safety, the use of checklists and significant event review reporting. Laura also works closely with the Vets Now marketing department on a wide variety of digital content, media and PR work. Laura is currently studying for an MSc in advancing healthcare practice with the Open University, which aims to develop skills in evidence-based practice, policy development and innovation to facilitate sustainable improvements in care quality. She hopes to bring a fresh and open mind to the QIAB, drawing on more than a decade of experience of clinical leadership in a nationwide provider of first-opinion emergency and critical care. Paul qualified from the University College Dublin in 1990. After spending some time in mixed practice in Ireland and had a role at Greenmount College where he taught Agriculture and Veterinary Nursing. His special interest areas are in ultrasound, and veterinary cardiology. He is past Chairman of the Northern Ireland branch of the British Small Animal Veterinary Association, a term he held for three years. Having most recently come from a Hospital on the Isle of Wight where he was a Clinical Director, he is now the Head Veterinary Surgeon at the Beaumont Sainsbury Animal Hospital, the practice for the RVC. At the Beaumont Sainsbury Animal Hospital audits are completed on a monthly basis, to ensure and promote more work based on current evidence and best practice. Paul hopes to bring to the QI Board a realistic expectation of what is capable in practice, and the drive and resources to ensure that this happens within veterinary hospitals. 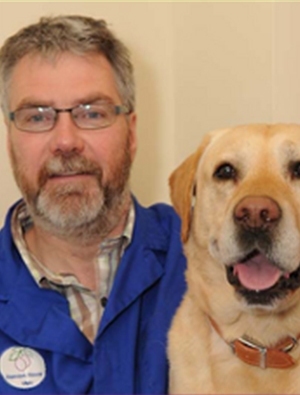 Alan qualified from Liverpool Veterinary School in 1993 having also obtained a BSc in molecular biology. After a short locum in Newcastle, he completed an internship in Dublin in Small Animal Medicine. He then returned to the UK to do his PhD on the mechanisms of feline calicivirus persistence. 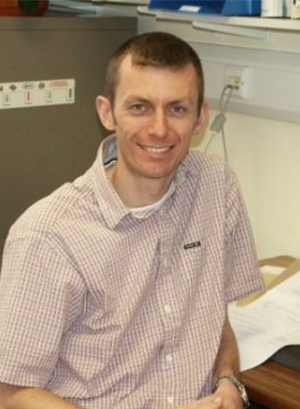 He is currently appointed as Reader in Infection Biology at the University of Liverpool. 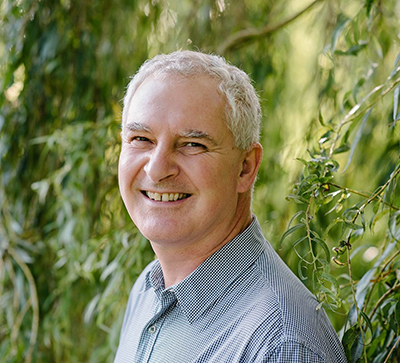 Alan is a member of the European Advisory Board of Cat Disease and, since 2008, has been heading up SAVSNET, the Small Animal Veterinary Surveillance Network. SAVSNET collects large volumes of companion animal electronic health data from UK veterinary practitioners and diagnostic laboratories. These are collated centrally, and used for research and surveillance. These data can also be used to describe practice variation in a range of different measures, offering exciting opportunities for clinical audit through real-time benchmarking. Alan was the recipient of the RCVS Knowledge Golden Jubilee Grant. The funding was used to establish VETseq, a collaboration between the Veterinary School and the Centre for Genomic Research at the University of Liverpool. Visit our grants page to learn more about this exciting project. Quality improvement is an inclusive initiative and we encourage all members of the veterinary profession to share their knowledge to help provide the best possible care. The Terms of Reference for the QIAB are available to view and download from the 'Related documents' box.